A close-up view of our snow white play sand. 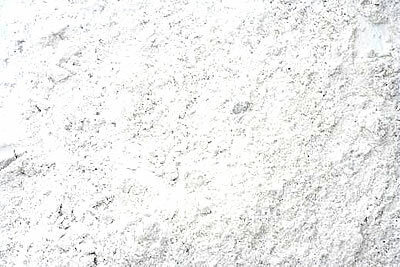 This soft sand is mined in Pennsylvania, then washed and extensively screened. It’s the softest, whitest sand around! Zebras love fluffy white play sand! Our snow white play sand is fine, pure, and soft. That’s because it’s “washed sand” — surface mined, screened, and washed by machine to remove silt and clay, then allowed to drain. It’s finely graded and commercial standard, appropriate for sandboxes in schools, parks, day cares, and even homes. (Washed sand can also be used for fill, to top-dress golf course greens, and as a base for laying brick.) We sell it to hundreds of commercial customers for their sandboxes and play areas. We ship our snow white play sand anywhere in the continental U.S. The sand is shipped in 50-lb. bags labelled “Play Sand.” The price is $8.99 per bag, with a minimum order of 60 bags. 60 bags equals 1.5 tons of weight. These orders are shipped on pallets, via motor freight. For shipping rates, please phone us toll free. For orders of fewer than 60 bags (1.5 tons), please phone us toll free for pricing information. If you’d like to pick up snow white play sand at our facility in Barnesville, Maryland, you can pick up any quantity you would like, from 1 shovel-full to 100 tons! For deliveries in the MD – DC – VA area, the minimum order is 2 tons of sand. There is no maximum order … no matter how big your play area, we can bring you enough sand to fill it! We can drop it on your premises or even put it right into your sandbox (for additional charge). We deliver snow white play sand anywhere in the USA, delivered to your premises in 50-lb. bags, packaged on a pallet. In the Maryland – Washington, DC – Virginia area, we can drop the sand on your property, or our team of playground professionals can install it in your sandbox for you (minimum order: 2 tons).